Volvo Cars is starting production of its award-winning XC40 in Luqiao, China, to meet ever-growing demand for the company's first compact premium SUV. Production of the Volvo XC40 in Luqiao, China, will begin this week The XC40 was launched in late 2017 to global acclaim. Until now, Volvo Cars' Ghent plant in Belgium has been the sole production site for the XC40, of which more than 100,000 units have already been sold globally. XC40s for the Chinese market will be built at a manufacturing plant in Luqiao, south of Shanghai, which is owned by Geely and operated by Volvo Cars. Doing so brings the XC40's production closer to the Chinese market and follows earlier production increases to meet customer orders. The Luqiao plant already builds the 01 SUV sold by Lynk & Co, Volvo's sister brand, which it co-owns with Geely. Separately, Polestar, the electric performance brand co-owned by Volvo Cars and Geely, announced that it will build the fully electric Polestar 2 fastback in Luqiao as of next year. 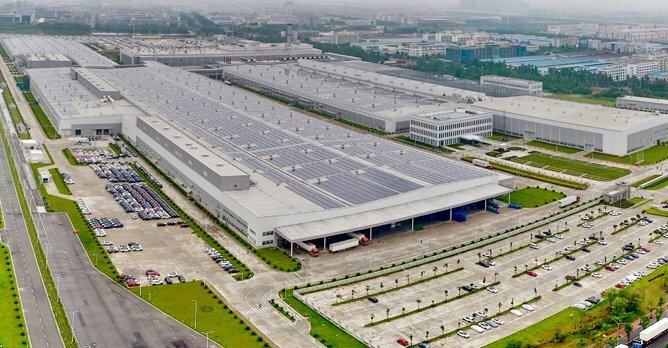 As such, the Luqiao plant is an example of the collaboration between Volvo Cars and Geely, providing the necessary economies of scale to compete in today's automotive industry.